Duffield Community Association is a group of volunteers working to enhance village life for all Duffield residents. The DCA organise the village carnival and the Christmas lights, assist the Parish Council with the annual bonfire and are closely involved in many other local activities, including the Duffield Action Plan. Local households can pay a nominal annual subscription of between £3 and £9 to join the DCA, for which they receive a copy of the DCA's regular newsletter. Fill in the membership form below and return it with a cheque payable to Duffield Community Association to Sally Lloyd, 3 Duck Island, Duffield DE56 4EZ. The DCA welcomes new volunteers: contact Chris Johnson on 01332 843348. 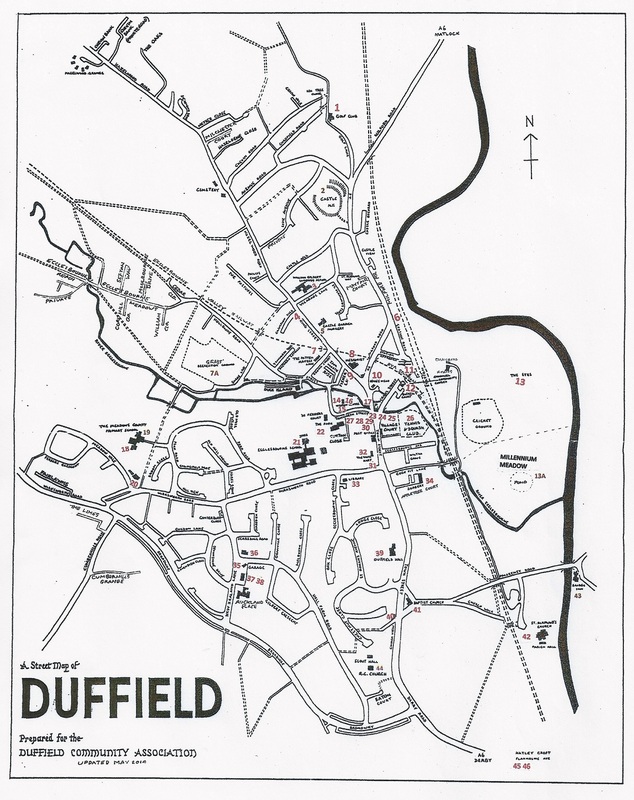 Duffield Community Association's plan of Duffield; updated 2014.